Just got home from hunting my friend and mentors place in Iowa. I hunted there three years ago. 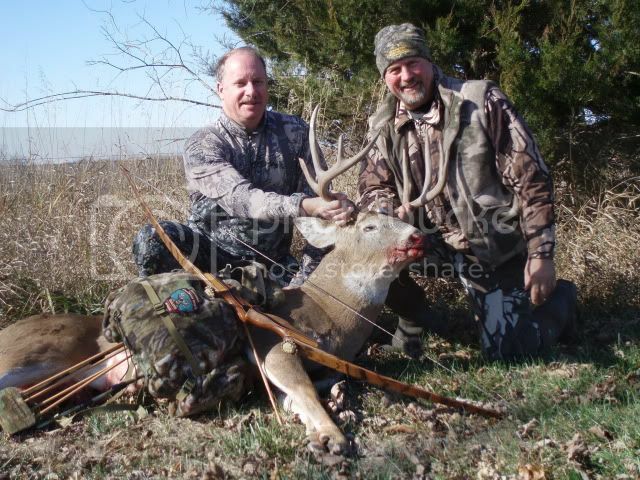 John Vargo and I hunted from Nov. 6 til the 12. We hunted in snow, 40 mph winds, 60 degrees and everything in between. We had bucks chasing, tending and fighting just about the hole mix of the rut. On 11-11-11 I got to try out my new Schafer zebrawood longbow limbs (53@29.5, making a 64inch bow). At 6:35am he was my first customer of the day. Took him through both lungs at 14 yards with a 30" 35-55 Gold tip traditional and 175gr woodsman head for a total weight 485gr. The arrow only made it to the fletching. 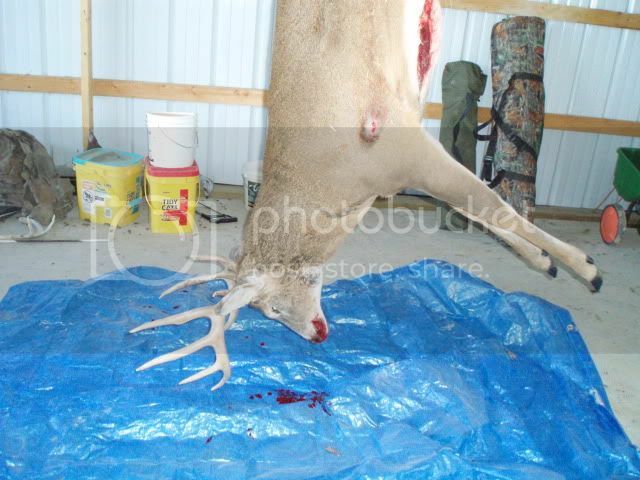 He busted the arrow and bent the broadhead with his off leg. His live weight was 182lbs. SE Iowa in the rut is Bowhunters dream. Nice buck and nice shot! good shot placement!! nice deer! That's one heck of a buck. Congrats! Congrats! That's a fine one!